Add all the ingredients together. Let the flavors meld for a while. Serve with good bread. 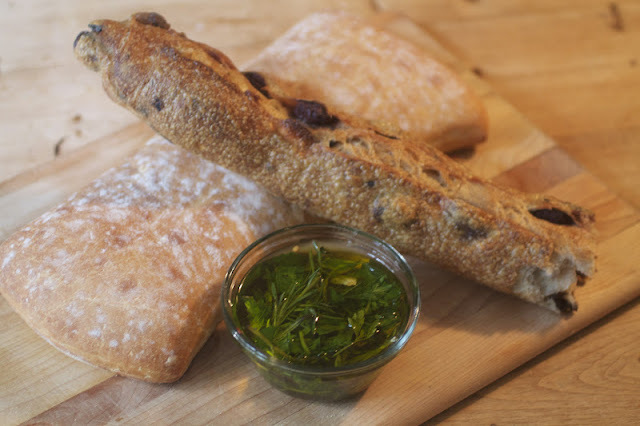 I have an olive baguette and ciabatta bread in the picture. This makes a great appetizer or side dish to a summer meal!